Origin: Southern Sonoran Desert south of Hermosillo, Sonora and southern Baja California into Michoac�n, Mexico and also south into subtropical, seasonally dry areas of Columbia, Peru and Ecuador. 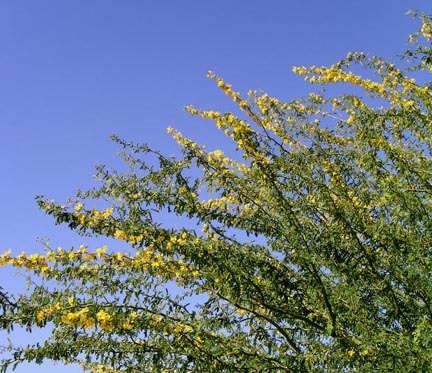 Landscape Use: Palo brea is a large specimen tree for use exclusively in large, spacious, desert landscape gardens and large, open xeric landscape spaces; it creates excellent habitat for native birds. A special note to aspiring landscape architects: Palo brea is NOT a street or parking lot tree! Form & Character: Semi-evergreen tree, loose and unruly yet with refined feminine qualities, umbrella top with age and proper pruning, spreading and broad. Growth Habit: Moderately vigorous, wide spreading and pendulous, coarse medusa branching pattern with a plethora of short spur branches and stems with many directional changes, sometimes rangy to 20 to 30 feet with greater spread. Foliage/texture: Small pinnately compound leaves, transient stipular thorns on young stems, trunk lime green with a waxy bloom, sometimes very smooth; medium fine texture from afar, medium coarse texture up close. Flowers & fruits: Masses of yellow flowers in axillary clusters followed by light brown pods. 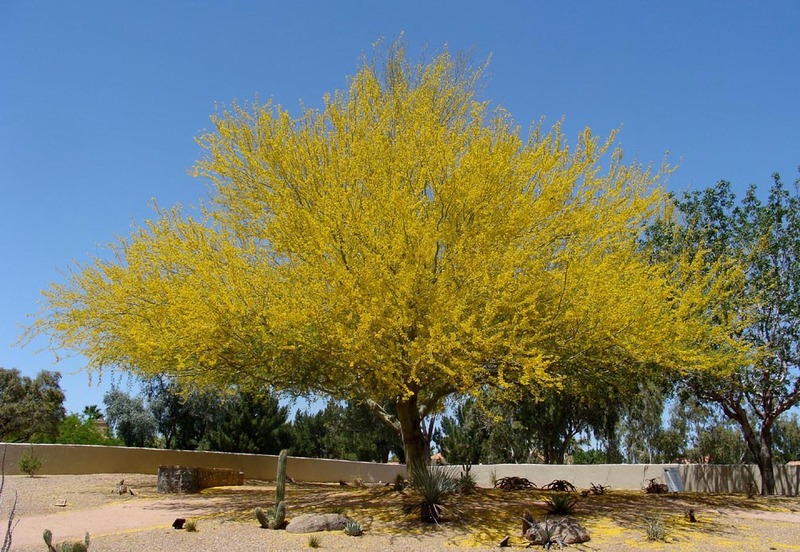 Seasonal color: Brilliant yellow flowers color the entire tree (and all the ground beneath) in mid to later April. Watering: Palo brea needs little to no supplemental water once established in desert landscape gardens. Do not over irrigate palo brea as this will encourage a vigorous rank growth habit that is prone to catastrophic failure. Pruning: The pruning requirements of palo brea can be extremely high, especially when it is planted in an urban setting that has any sort of space limitations because of its broadly spreading and pendulous crown and irregular to random branching pattern. Sometimes frutstrated 'hort clods' practice their frustrations about landscape non-conformity on vulnerable, solitary palo brea trees and butcher this free-spirited tree. PLEASE!!! clods resist the urge to multilate and give this wonderful Sonoran Desert native tree some respect. Propagation: Seed, readily hybridizes with other Parkinsonia species. Disease and pests: Palo verde beetle (Derobrachus geminatus) is a large beetle that looks much like an Apache attack helicopter. The immature white larval grubs (3 to 4 inches long by 1 inch wide) of the adult hatch from eggs laid inside rounded broom handle sized soil burrows near tree roots. Grubs feed on the roots and later emerge as adult beetles in early to mid-Summer. 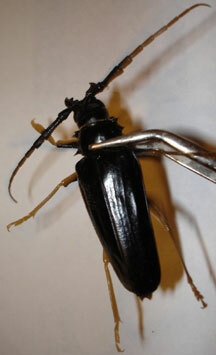 Outside the city, adult beetles are found in indigenous palo verde stands, but are rumored to be cities lights. 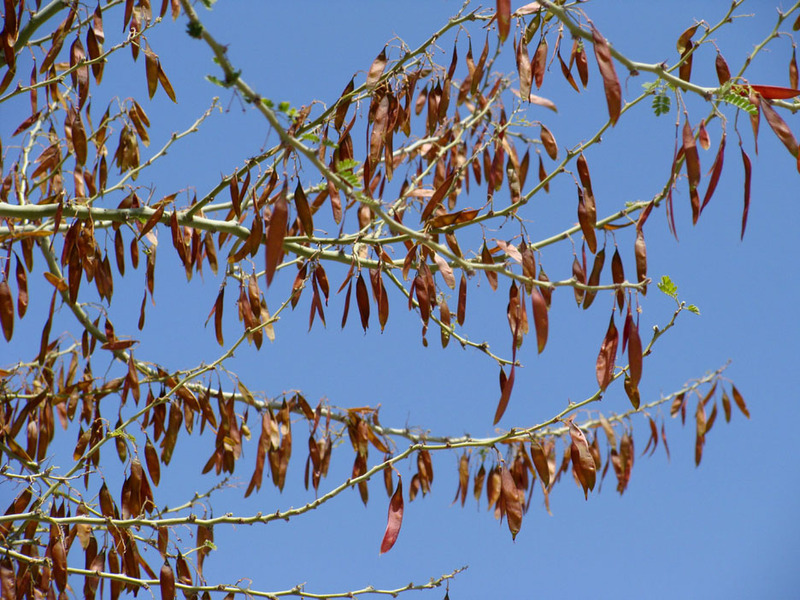 This pest might also infrequently infect other trees. Treat with an insecticidal soil drench. Also, white files feed on young vigorous trees in late summer, though this is a transient problem of minor significane. Mistletoe, though common on P. florida and P. microphylla, is rare. 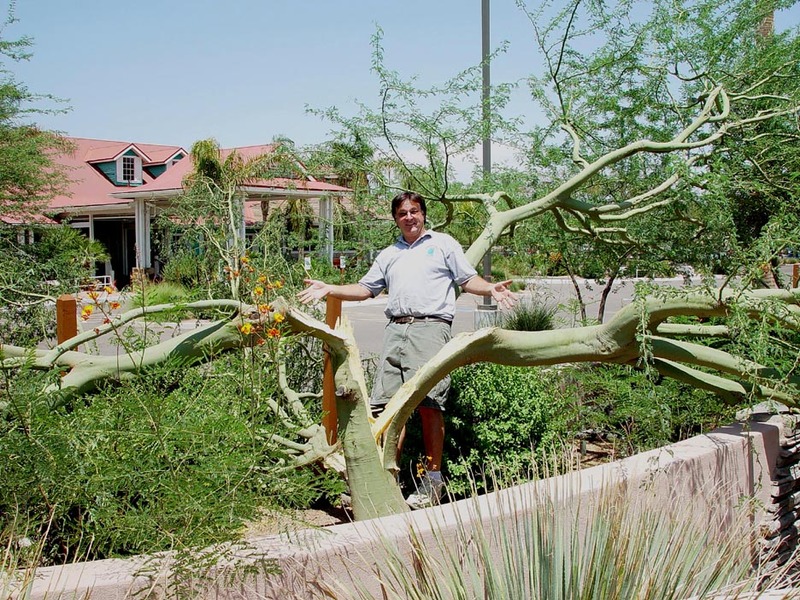 Additional comments: Palo brea is a great tree for large, open desert gardens where its architectural uniqueness can be featured and not butchered. Its trunk character is truly beautiful. So I reiterate! 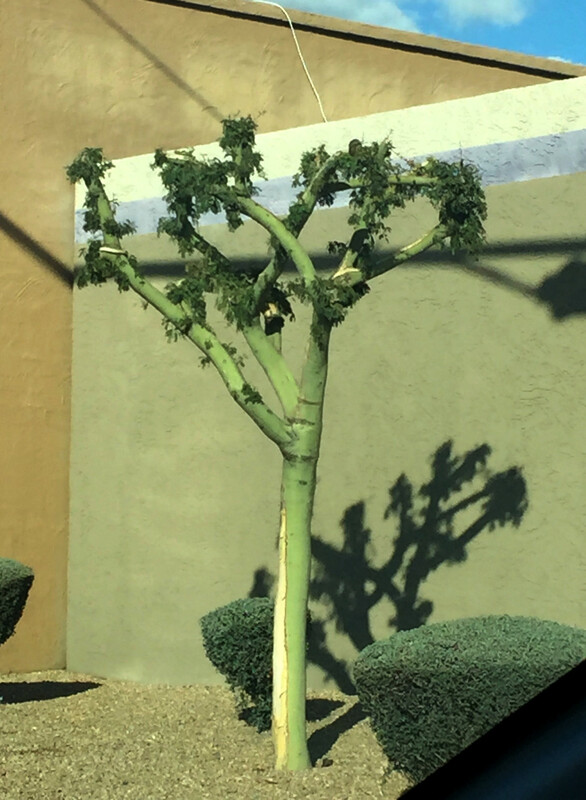 Palo brea IS NOT a street or parking lot tree and should not be planted in areas where its crown needs to be raised or deformed to accommodate traffic patterns or urban space limitations. Palo brea easily hybridizes and many nursery trees are actually hybrids with other Parkinsonia species. The smooth trunk of palo brea is prone to vandalism in public areas. Neat freak alert!!! Flower and fruit litter can make quite a mess.